Good morning all! I have wanted to do a post about what baby gear I really liked or relied on during Ben's first four months. I have tried to list only things I used every day. We have totally turned a corner in baby gear, in that he is using lots of different things now. So I will do another list later for post 4 mos! 1. Infant Seat: We used the Fisher-Price My Little Lamb Deluxe Infant Seat. This was KEY for us. Under four months, the baby sleeps so often, that we weren't always putting him in his crib for naps. This seat did a great job at settling him and helping him nap. It is really portable, which was great. You can easily carry it from room to room, and also would take it with us when we went to our parents' houses. We used the vibration function all of the time and occasionally the music. We didn't always use the "arm," but it was nice to have for him to look at something and bat at something when he started to develop arm control. He has grown out of the seat now, and I have lent it to a friend to borrow. 2. 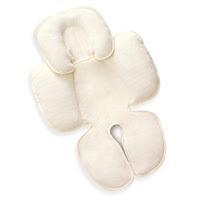 Breastfeeding Pillow - If you are going to breastfeed, a breastfeeding pillow is a must. It is typically a choice between the Boppy and My Brest Friend. I chose My Brest Friend and loved it. I didn't start using it until a week or so after Ben's birth due to my c-section incision. But after that, I couldn't be without it. 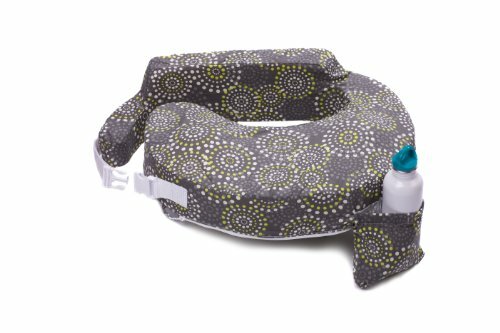 I ended up buying a travel Boppy for my trip to Texas, so I was able to compare the two. I liked the My Brest Friend better, hands down. I felt that it stayed put better (because it buckles around you), gave you back support, and kept the baby in place. A negative is that I would have to be careful that the plastic buckle did not hit his head when he was lying on the side with the buckle. However, the Boppy is nice to have now as a prop for Ben. We still use My Brest Friend every day, although he is starting to prefer to feed sitting up without a pillow more now. Exact one that I have. 3. Lamp Dimmer Switch - I bought a couple of these at Home Depot for the two lamps in Ben's room in his second month (I think). I wish I would have had them from the start! It was so nice to be able to control the lamp lights in these ways. I could give off just the smallest amount of light needed to see what I was doing. This helped not to fully wake Ben in the night and just be more peaceful. 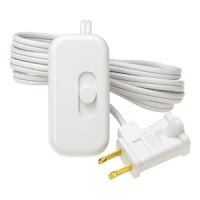 This was a super cheap solution to convert my regular lamps to dimmers. Also, they are so easily portable. I traveled with these when I went to Texas and to New Jersey. When I woke up in the night, it helped not to wake whoever I was sharing a room with (Dan or my sister). They were about $10 each. This is not the exact one I have, but very similar. 4. 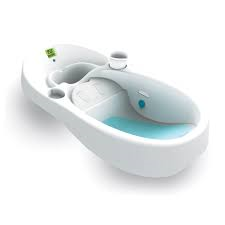 4Moms Infant Bathtub - We tried using the Puj tub first, and it was a disaster. It was just too shallow and we couldn't get the temperature right. I think we always had it too cold. 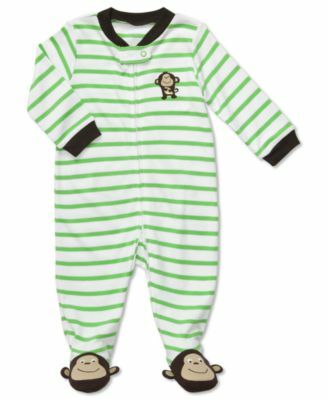 Anyways, I was desperate not to have him scream during bath time, so I went out and bought this (without doing any research!). It is GREAT. It can only be used in the kitchen sink (too big for the bathroom). But it fits perfectly. It has a thermometer, and continuously runs water through so it never gets cold. He pretty much loves his baths. The only problem I had with this tub is that the square temperature gauge part kept falling out after a couple of months. I just taped it with some duct tape, and it was good to go. 5. Grass Drying Rack by Boon - This drying rack is great for pump parts, etc. and looks cute. 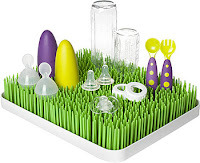 They have a bigger one called Lawn, but Grass was the best size for me. 6. 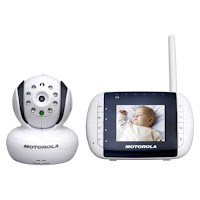 Video Baby Monitor - Motorola Digital 2.8" Video Baby Monitor. I really debated whether or not to get one of these. I didn't want to be obsessed with looking at it all of the time. In my mind, I wanted to be super laid back, easy peasy, care free. But the more I talked to various parents, I heard that they either loved their video monitor or wished they had one. I am so glad we got it. I love to be able to get a quick glance at him whenever I want from where ever I am in the house. It was also helpful for us in interpreting his sounds - i.e. Ok, he's fussing, but still has the paci in his mouth and seems to be settling, so we don't need to go in. Or, ack, he's fussing, thrashing about, and clearly needs some help in settling. Be careful though. This monitor has a function that pipes in loud music. I made that mistake once by pressing the wrong button. 7. 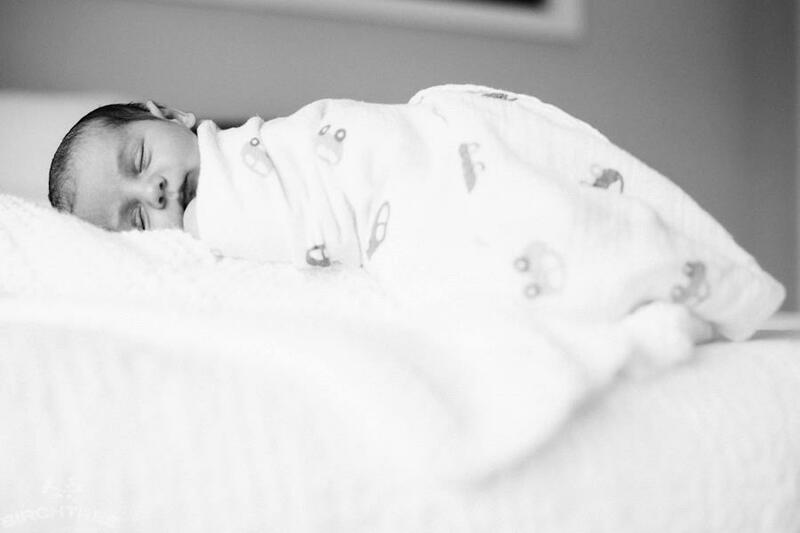 Aden and Anais Swaddles - These are just a great all purpose blanket. It is lightweight, but big. Great for swaddling, covering a car seat, tucking around the baby in the infant seat, etc. We still use them. Plus, the royal baby uses them!!! 8. Zip Up Outfits - I found myself almost always reaching for a zip-up outfit/PJs. They are just so quick and easy. I love them, and still do for sleeping. The only downside is that you have to unzip all the way to change a diaper, but it is so quick that I don't mind. 9. 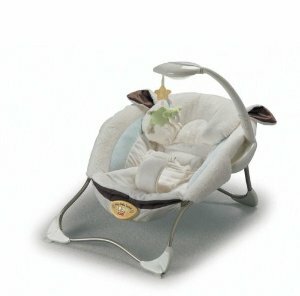 Stroller Frame - Chicco KeyFit Caddy. We were gifted the stroller frame that went with our chicco car seat, and I love it. It is so lightweight and easy. Completely awesome. 10. 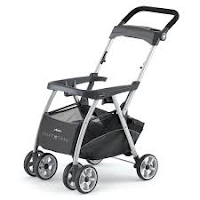 Baby Jogger City Mini GT Stroller with Infant Insert (Summer Infant)- So I debated putting this on the list since I put the stroller frame on there. But, I did use this stroller almost every day as well during my maternity leave for walking Shelby and Ben. First, I tried wearing Ben for our walks in an ergo. I didn't like that for various reasons. He was only three weeks at that point, and still so small. I thought I was squishing him. I did not like the ergo's infant insert. It was uncomfortable and I thought he would overheat. Also, if he fell asleep on the walk, then I would have to move him when we got home, and he would wake up. I didn't want to use the car seat/stroller frame for walks because (1) when he was 3 weeks old I thought the car seat made him slump too much (paranoia, it's what's for dinner) (2) the city mini is a much smoother ride for walks and I thought more comfortable for Ben. What I ended up doing was lying the seat on the city mini completely flat and using an infant cushion, which I still use. This worked out great for me. We keep the city mini in the house for walks, and the stroller frame in the car for everything else. My insert is black/grey, but this is the same one essentially. 12. 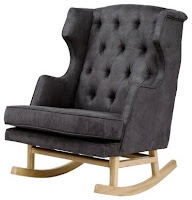 Rocker - Nurseryworks Empire Rocker. I can't believe I almost forgot this! I love this rocker. It is big and great. It was my one furniture "splurge." Otherwise, we got Ikea furniture, and I used a (great) hand me down crib from my nephew. We have logged a lot of hours in this rocker. My one regret is that I wish I would have chosen the darker wood, but that was on back order and I was impatient. I still love it. It doesn't come with an ottoman, but I bought an inexpensive one from World Market to go with it. It is definitely nice to have a place to rest your feet, so I would recommend having some sort of ottoman. It is bluer than it looks in this picture. I have a better picture that I will upload tomorrow. So I wanted to keep my list to 10 things, but it ended up being 12. We used/use so much more of course - breast pump, car seat, pacifiers, sleep sacks, feeding chair. Stay tuned for my next list in a couple of months! If you have any questions about any of these products, feel free to ask me! NOTE - These are all of my unbiased opinions, I was not paid for talking about any of these products. I either bought them myself, or received them as gifts from family/friends.